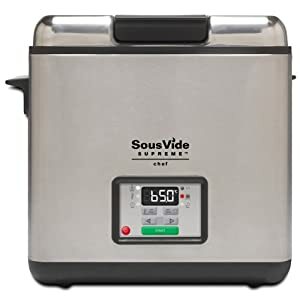 Tags: cooker machine, cooker system, culinary, recipe, slow cooker, sous vide, sous vide amazon, sous vide cooking, sous vide cooking equipment, sous vide machine, sous vide water oven, sous vide water oven cooker, SVS10LS, water bath, water oven, water oven cooker. 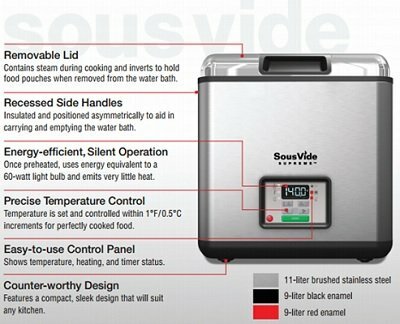 The award-winning SousVide Supreme SVS10LS is the world’s first water oven designed to make the gourmet sous vide cooking technique easy and affordable. 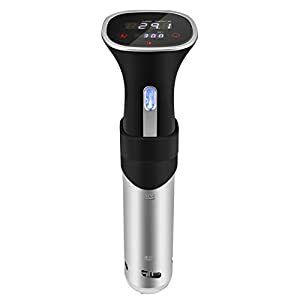 Sous vide cooking locks in the juices and flavor and preserves the nutritional quality of the food. The result is incomparable taste and texture: steak perfectly cooked edge-to-edge, vibrant vegetables, juicy tender chicken breasts, and ribs with the meat literally falling off the bone. All at the push of a button. Hands-off, time-saving meal preparation. Just set it and walk away. Easy and foolproof. Never overcook a meal again. Perfect results, every time. Gourmet taste. Capture the full, TRUE flavor of foods. Saves you money. Tenderizes inexpensive cuts. Added nutritional value. Natural juices and nutrients are retained in the food-safe vacuum seal bag. Easy clean-up. No messy pots and pans. Just empty and wipe down the interior with a soft cloth. Energy-efficient, silent operation. Uses energy equivalent to a 60W light bulb once at target temperature. Season food with your favorite herbs and spices. Vacuum seal foods in a food-grade cooking pouch. Drop the sealed pouch into the water oven. Temperature is precisely controlled so food will not overcook. Plate directly from the pouch or for a golden brown crisp exterior, sear briefly. What’s exciting about the sous vide method is that it is a unique way of cooking that yields different and better results. Foods cooked sous vide develop flavors and textures that simply cannot be duplicated using any other traditional cooking method. Natural flavor and juices are infused into the food while in the cooking pouch resulting in incomparable taste and texture. Anyone can now cook food to perfection, and the minimal hands-on cooking saves time. Like your own personal chef, the SousVide Supreme cooks during the workday or overnight, freeing you to do other things. Beneficial nutrients found in food are retained in the pouches, instead of being lost in steam, discarded in cooking liquid or left in the pan, as happens in traditional cooking methods. What equipment do you need to cook sous vide? 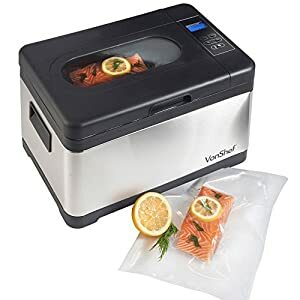 In order to maintain the precise control of temperature, sous vide cooking requires a tightly temperature-controlled water bath and a means to vacuum seal the foods to be cooked. 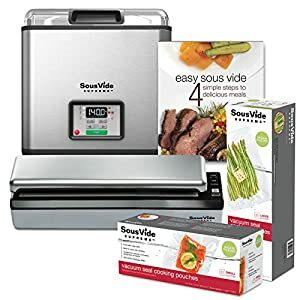 One of the easiest ways to cook sous vide is using a self-contained water oven, such as the SousVide Supreme, which allows you to set the temperature and let it do the cooking for you with no monitoring required. 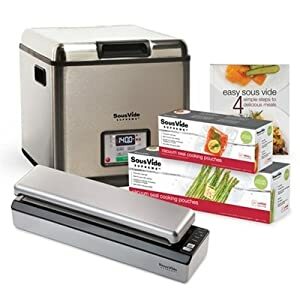 The key is accuracy and the SousVide Supreme offers technology that maintains constant temperatures within +-0.5 degree C or 1 degree F. To seal foods for sous vide cooking requires nothing more than a common kitchen vacuum sealer and food grade plastic vacuum seal pouches, approved for cooking. 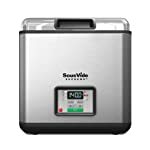 Can I buy replacement bags for the SousVide Supreme Vacuum Sealer? Absolutely. Cooking pouches are available in, 1-quart/.95-liter or 1-gallon/3.79-liter sizes, as well as pouch rolls that can be cut and sealed to your desired size. We also offer zip pouches, which can be used without a vacuum sealer, particularly useful for liquids or liquid-rich foods. All of our pouches have been third party tested and verified to be free of Bisphenol-A, lead, polyethylene and any phthalates, and to withstand and remain stable at high cooking temperatures for extended periods of time. 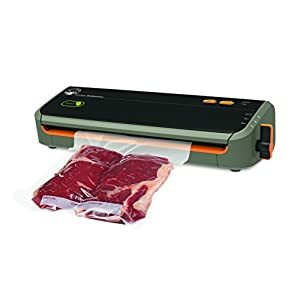 Will any other bags work with the SousVide Supreme Vacuum Sealer? 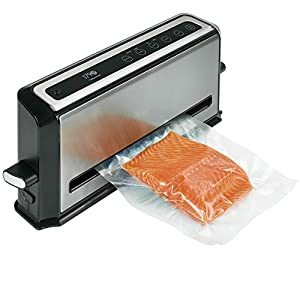 For the best quality sous vide cooking bag, we recommend using only the SousVide Supreme Vacuum Sealer bags. However, our system will also work with some other bags, such as those by Food Saver. 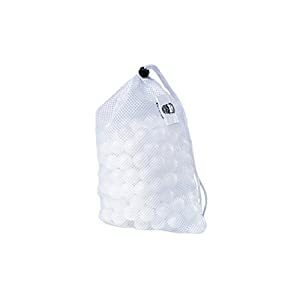 Any bag used for sous vide cooking, however, should always be made of food grade plastic and approved for cooking. What kind of foods can you cook sous vide? All kinds! Any type of meat—such as beef, pork, lamb, game, or poultry—is ideal for sous vide. It works especially well with fish and seafood, ensuring that these delicate foods are not overcooked. Almost any vegetable can also be cooked sous vide with delicious results, as can eggs and many fruits. You can even use it to make custard-style ice cream base, béarnaise sauce, crème Anglaise, custards, cheese, yogurt, and even cakes. Just about anything that requires a precise temperature to cook can be a candidate for sous vide cooking. How do you season food to be cooked? 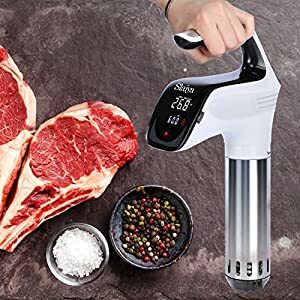 The sous vide process locks in a food’s natural flavors and infuses the seasoning into the food which means seasoning can be lighter than with other methods. When applying seasonings, start with a light hand and work your way up. For example, you can experiment with fresh or dried herbs, seasoning blends, sliced lemons/ limes, and chilis. How much food can you fit in the SousVide Supreme? Generally speaking, the SousVide Supreme Demi holds approximately twelve 4 ounce portions of food. The amount of food that will fit comfortably into the water oven depends on the food in question. The general requirement is that the food pouch (es) should not completely cover the perforated grill on the bottom of the unit. Convection circulation of water through the grill holes and between pouches is important to maintaining constant temperature throughout the bath. The pouch rack solves this problem by keeping the pouches up off the perforated grill and apart from each other as well as allowing you to cook a surprisingly large quantity of food. Insert the rack horizontally to hold up to four large (gallon) cooking pouches. The rack can also be removed to accommodate large food items, such as a 6-pound leg of lamb, beef or pork roast, or beef or pork tenderloin. The key here is to make certain that the water can flow freely around the pouches to ensure even cooking. Can you cook an entire meal in a SousVide Supreme? There are some one-pot meals and pasta meals that work in the SousVide Supreme we’re working to develop more. In general, vegetables require a higher temperature to soften and become tender than fish, poultry, or meat. To cook them together, however, you can quickly sauté the vegetables in the skillet and then add them to the meat and cook at the lower temperature required by the meat, fish, or poultry in the SousVide Supreme. 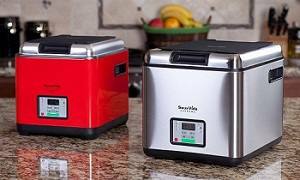 Both the original SousVide Supreme water oven and the new SousVide Supreme Demi are extremely easy to use and feature sleek contemporary countertop design. 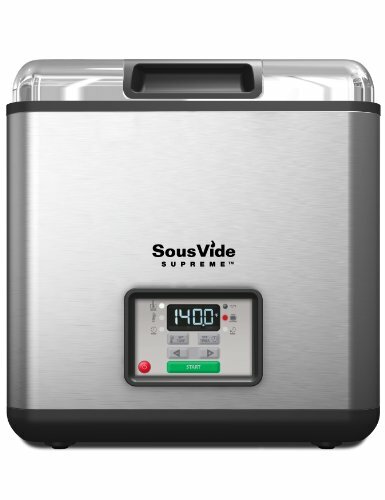 Either SousVide Supreme unit will allow you to cook all your food to perfection with tenderness and flavor unlike you have ever experienced. The main differences are cooking capacity, footprint size and exterior finish. The following comparison chart will help you to select which model is best for you. About the size of a bread machine. About the size of a Crock-Pot;. black and red.Polished aluminum lid.